Move over, Elf On The Shelf, The Skeleton In The Closet is here. Elf On The Shelf has become a huge new Christmas tradition since it came on the market. But what about those of us who are Halloween obsessed? 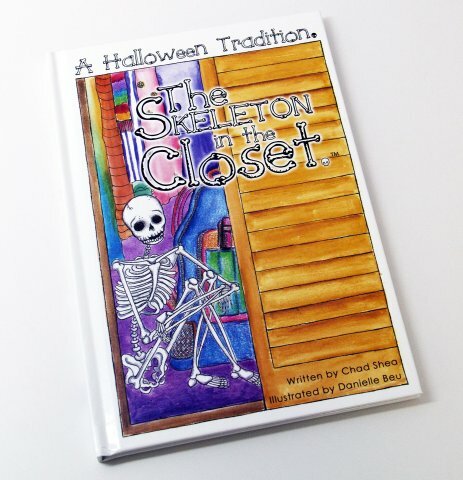 Skeleton In The Closet is a cool Halloween tradition the whole family can have fun with. So what exactly is Skeleton In The Closet? When you purchase Skeleton In The Closet, you get a hardcover book and a cute 16 inch moveable skeleton toy. The book conveys the same message as Elf On The Shelf but with a Halloween twist. When you first get your skeleton, you give him or her a name. Every year on October 1st they come alive and sneak out of the closet to bring trick-or-treat fun to your family until Halloween night. Each night your skeleton finds a new hiding spot so you know he's watching and every morning you have to go find where your skeleton has been hiding and what they've been up to. If you're good you get treated, but if you're bad, you get tricked. Trick or treat? You decide! 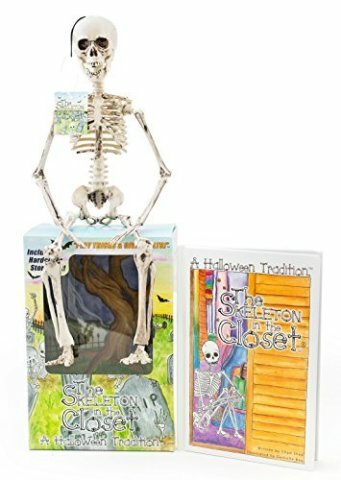 The Skeleton In The Closet is a fun interactive book and toy that can also work as a disciplinary tool by rewarding kids (or even adults!) for good behavior. 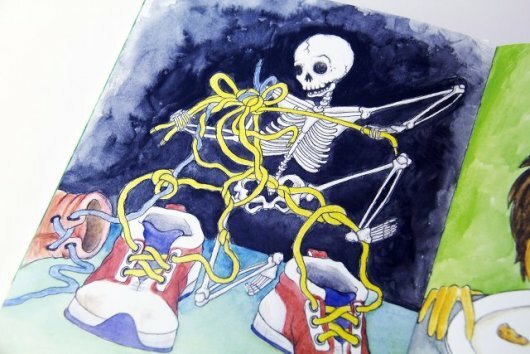 The colorful book has a neat page of authenticity where you fill in details such as what you named your skeleton, your family's name, and when you first brought him into your home. Bring this little guy home for only $29.99 and start a great Halloween tradition your family will never forget. 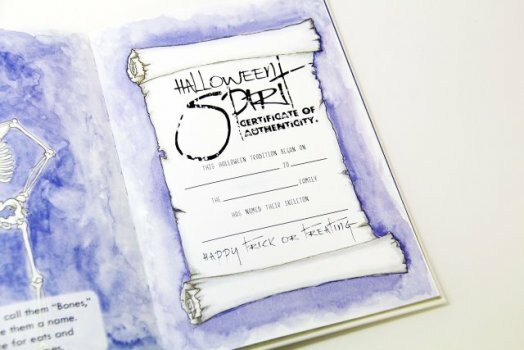 Don't forget to share your family's Halloween adventures with the makers of The Skeleton In The Closet through Facebook, Instagram, and/or Twitter. Happy Celebrating!